Are you looking for a fast and easy way to put a layout together? I've got the solution! Wendy Tunison Designs' latest template pack, Temptations Vol. 43, has four amazing templates with a fun blocked style. You can purchase it for 30% off through October 1st. 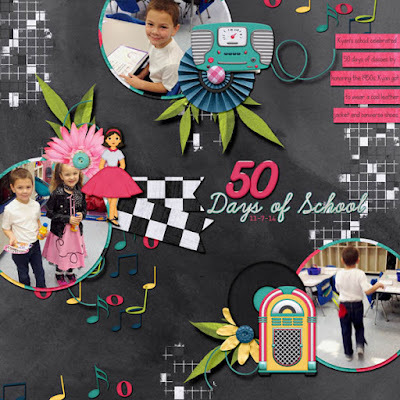 The 2nd layout (50 Days of School) was created using Wendy's Temptations 42 template pack. Both layouts were created using the kit Simpler Times. Growing up, there was a nursery rhyme about monkeys who jumped on the bed and it always seemed to end in trips to the doctor. If your little monkeys (or you) seem to be spending too much time in doctors' offices, you might need No More Monkeys Jumping on the Bed. 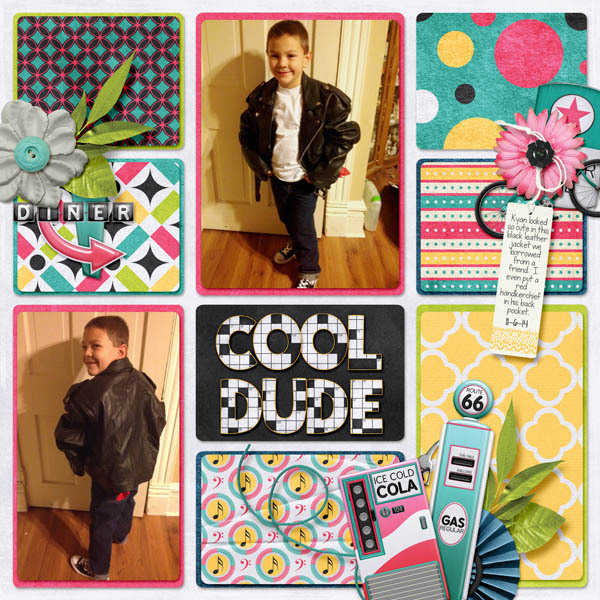 This cute, playful bundle makes it easy to scrap the general appointments and the "uh-oh!" moments that come your way. Based around some cheerful sock monkeys, this kit has elements perfect for visits to the doctor, dentist, and optometrist. 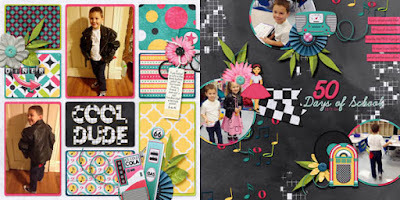 Featured elements include: X-rays, a set of sock monkeys, a set of children with IVs, eye charts, teeth (with and without braces), a shot, a stethoscope, and a set of word strips to tell your story. It also comes with playful patterned papers to match. This is a huge kit with multiple add-ons - doctor, dentist and eye, all included in one big kit. It is half price during this first week of release.